It’s hard to believe sweet little Olivia is already one! 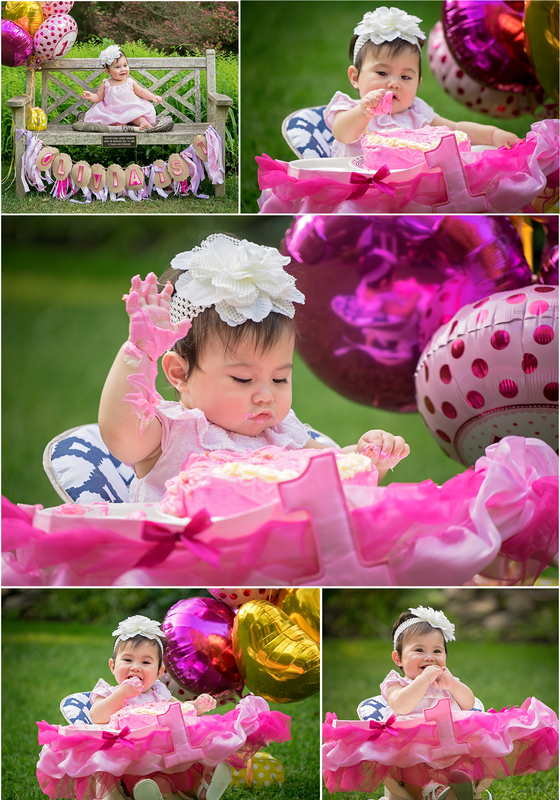 You might remember her adorable newborn portraits, and I am so excited to share her first birthday, cake smash session! 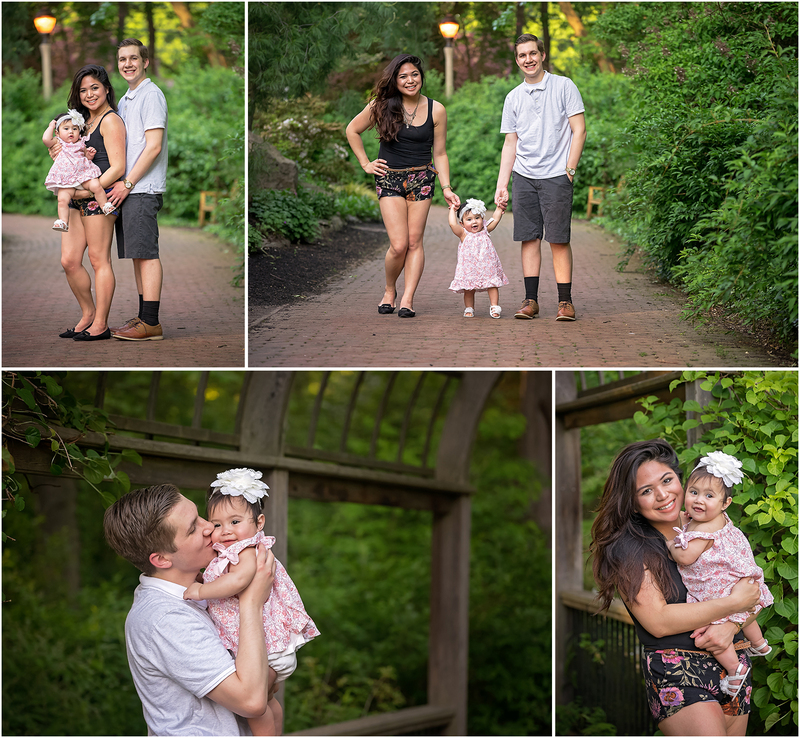 I had an amazing first birthday, cake smash session with Olivia and her parents, Victoria and Mike, at one of my favorite locations, Sayen Gardens. Sayen is a lush flower garden right in the middle of Hamilton, NJ. It’s the perfect setting for a little princess like Olivia. Olivia was totally a little star in front of the camera. 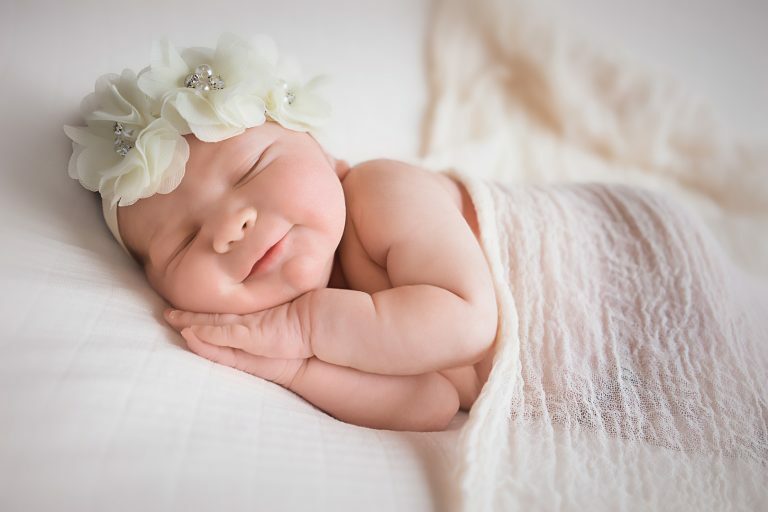 From the moment we started, she was all smiles and giggles. Victoria bought along some balloons which were a perfect prop for the first birthday theme. And as you can see below, Olivia had a blast playing with them. 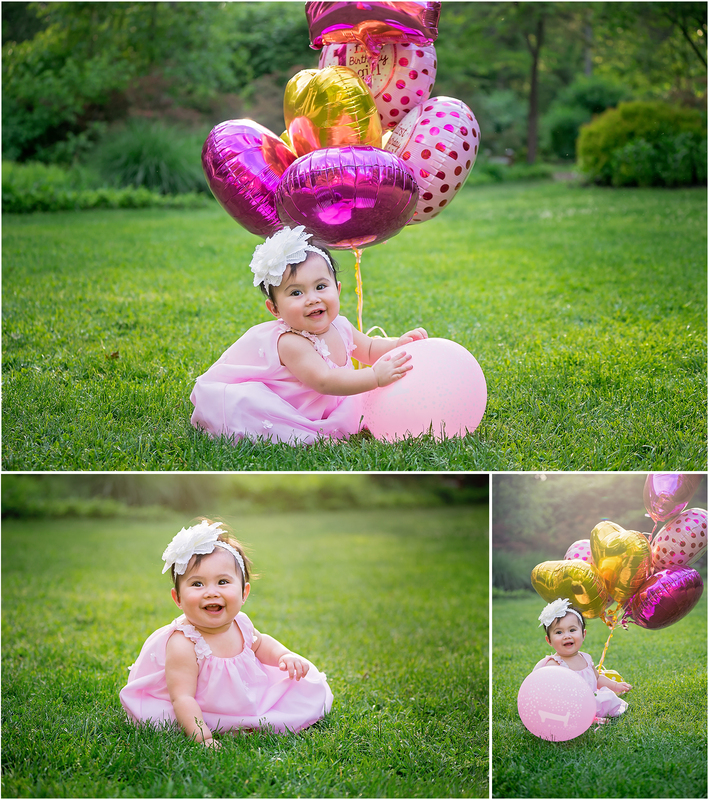 We got great portraits of Olivia in her pink birthday dress before bringing out the cake. Once Olivia was all cleaned up, we still had time for a few family portraits of the three of them. I think it’s so important for kids to have pictures with their parents. They will truly treasure them when they are older, and I am so happy that I was able to create them for Olivia to look back on when she’s all grown up. One of my favorite portraits from the session is of Victoria, Mike, and Olivia standing in the exact same spot where I photographed an image of Victoria and Mike during their maternity session last year. I am so in love with all the portraits from Olivia’s session and I am so honored to have this family back for a third session. I can’t wait until the next time I get to photograph them!